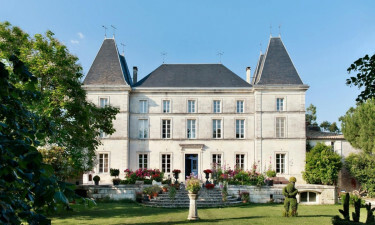 Séquoia Parc is situated within the Charent-Maritime region of France. This unique holiday camping site is one of the sunniest in the country and provides numerous amenities. More can be learned by contacting Lux-Camp. An impressive 640 individual pitches. 240 are designated specifically for tourists. Dogs are allowed during the peak and off-peak season. Cars are permitted on the pitch. A mobile home is able to be rented. 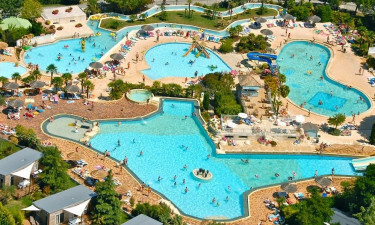 Families with children will love the fabulous aqua complex at the heart of the campsite, with its heated pools, river, slides and jacuzzis. There are two kids’ clubs, run by friendly and experienced staff, for children aged between 4 and 12 years, offering competitions, crafts, treasure hunts and picnics. Enjoy a gentle pony ride along the forest paths or the jumps and obstacle courses in the paddocks. Other sports offered include football, tennis and boules and the local area boasts a network of cycle and walking routes along sandy beaches and cliffs and through forests of scented pine trees. Guests can utilise an on-site baby changing area as well as a washer and dryer for their clothing. These sanitary locations are all able to be accessed by those with a wheelchair. There are also waste disposal facilities designed for caravans or a mobile home. 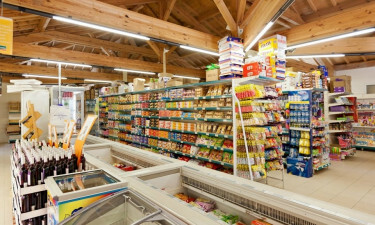 A supermarket is available on the campsite that will offer the normal provisions. A bit of much-needed rest and relaxation can be procured for a true sense of camping luxury. An indoor pool is located only a short distance away and there are even thermal baths to be experienced at a distance of approximately 20 kilometres from this luxury camping site. From La Rochelle to the north to the Gironde estuary to the south, this part of the Atlantic coast has a stunning landscape of islands, cliffs, lagoons and quiet, sandy beaches. Have a flutter at the casino in Royan, visit the zoo at Palmyre and sample the local produce at village markets. A visit to the vineyards of Cognac and Pineau is not to be missed and birdwatchers will be enchanted by the wildlife of the wetland environment. The luxury camping site Sequoia Parc has been developed in the beautiful, green and leafy grounds of an old chateau: the historic buildings now house the reception area. Mobile homes are arranged around a water park and a village square which is used for evening entertainments. Whatever you choose, your luxury camping accommodation will be comfortable and well-equipped with everything you need for a relaxing and restoring break.